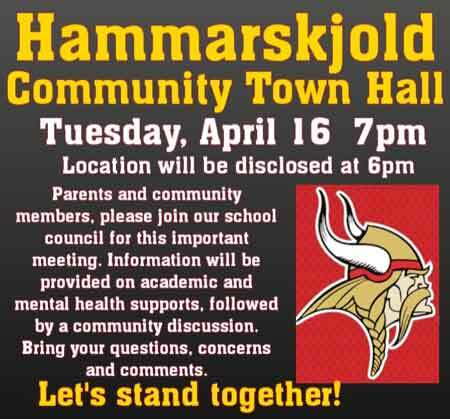 THUNDER BAY – Cheri Lappage the Hammarskjold High School Council Chair, states, “In the wake of the board’s decision to cancel Hammarskjold School Council’s public information session last Thursday evening, without advising or consulting our council or scheduling an alternate date, we will be hosting a community town hall tomorrow night at 7 pm”. 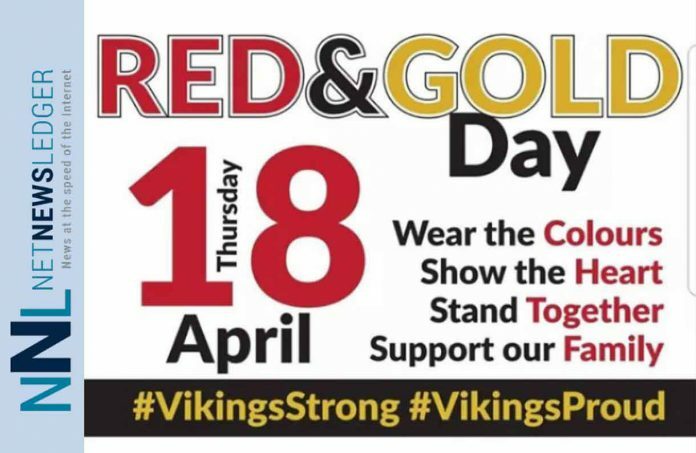 With today’s closure of Hammarskjold High School marking the 13th threat to the school this year, and the 12th time classes have been cancelled, parents, students, and the community are all getting increasingly frustrated. The message from the Lakehead Board of Education each morning there is a closure has been identical. The threats have, according to police been made via the Thunder Bay Crimestoppers portal, although police will not say if it is by the Internet or by telephone. The Thunder Bay Police Service has called in the Ontario Provincial Police for help, but as of yet have not called in the Royal Canadian Mounted Police. Lappage states that “This session will be a chance to address some of the concerns parents and students are bringing forward and to offer an opportunity to come together as a community and support each other through this trying time. Police officials will not be in attendance and the board has not confirmed that they will attend; however, we will have a representative from Thunder Bay Counselling Centre who will be providing information on mental health supports and tools to help parents support their children through this trying time”. It is not known at this point if Hammarskjold Administrative staff, or Lakehead Board Staff or School Trustees will attend. The Hammarskjold High School Parent’s Council is expressing frustration that the Board of Education is not doing as much as could be done to help bring and keep parents and students informed as to all of the things going on that they could. The meeting being cancelled last week, without consulting with the parent’s council appears to have been a turning point. While we cannot provide our community with answers to all of their questions, we believe there is value in hosting a town hall meeting. Questions we cannot answer will be collected and sent to the board and stakeholders on behalf of the Hammarskjold community requesting answers. Anyone affected by the ongoing threats is welcome to attend, as are the media.